There are dates or events in everyoneâ? ?s life that are game changers. For the Hearn family, these were April 25, 2009 and June 12, 2010. In January 2009, Brad our oldest son, made the Crosby High School Baseball team and played mostly on the Sophomore team as a 3rd Baseman/pitcher and sparingly pitched with the JV team. We were so proud of him, but we knew he needed a summer baseball program that would help Brad improve on his baseball skills and get him more playing time with his high school program. Little did we know that on that fateful day, April 25, 2009, the Hearns would find more than what we had bargained. That Saturday morning during a try out for Allen Baseball Club at a meager batting cage in Pearland we met a man, baseball coach and soon to be a life-long friend â?? Skip Allen â?? who would have huge impact on the entire Hearn family. After Bradâ? ?s pitching and hitting tryout, Skip talked to us about the Allen Baseball Club (ABC) program and his philosophy of getting the player to the next level versus trying to build a winning program. The lack of focus on winning was such an odd concept as we had played little league and select baseball programs with our entire focus on winning a championship trophy. But Skip assured us and as we witnessed through the years, the skills they learn and refine with the younger ABC teams are expected to be well honed and executed at the older ABC teams, and thus winning will take care of itself. As Skip began to explain the lengthy summer practices that were to be held at a high school near our home, we as parents were sold but needed to persuade Brad (our shy, unobtrusive 15 year old) to give this new endeavor a try. The first summer practice that year was an eye opener. We witnessed summer practices that lasted from 9am to 2 pm, which was deemed normal. We quickly learned that ABC is one of the best programs in the Houston Area for catchers, and little did we know at the time that a good catcher makes good pitchers even better. Catchers were in their full gear during the entire practice with frequent water breaks to replenish the fluids that were quickly exuding through their clothes. We witnessed Skip hitting fungo from the mound at the catchers to teach them to use their gear to block the ball. The practice worked every position player with drills to improve their skills and confidence. Our first full summer with ABC was a true test for the Hearn family, to watch Brad and his 16U team struggle game after game losing repeatedly and most notably without Skip coaching the younger teams on the weekends. Skipâ? ?s focus was and continues to be getting the older boys opportunities to showcase their talents such that can have the best possible potential to receive college offers. Shortly after an AAYBA World Series tournament in Dallas for Austinâ? ?s summer select team, we were in the city of Austin visiting a relative in the hospital when we got a call from Skip looking to have Brad travel to Michigan the next morning with the 16U ABC team to pitch in a NABF tournament. Due to the compressed schedule and cost constraints, Skip and two parents were to drive the boys to Northville, Michigan (just outside of Detroit). Brad had never stayed away from home for an extended period of time and he was quite apprehensive. After much deliberation, Brad agreed to go. While in Michigan, when the boys werenâ? ?t on the field, Skip and the team were having pool tournaments at the hotel. The boys thought they were just having fun during downtime when in fact it was way more â?? team bonding at its best â?? just as Skip had planned. To date it has been one of the most memorable ABC adventures for Brad and it is where he came to know his best friend and fellow ABC player Jeremy Rice. That next day after Brad arriving home from Michigan, we flew to San Diego with ABC and had one of our most memorable baseball vacations. It was memorable for both the positives and negatives. First the hotel accommodations wereâ?¦ well letâ? ?s just say â? ?we took one for the team!â?? The low point was a game in which ABC was in full control of the game and was winning (which was a rare event that summer) and lost the game in the bottom half of the last inning due to some errors and miscalculations by the young ABC coaching staff. There were a lot of upset and angry parents following that game, but the next game proved to be the turning point for the players and parents of the 16U ABC program. The opponent for the next game was comprised of teenage boys who were part of an amateur boxing association that formed a baseball team coached by their boxing coaches to stay focused and out of trouble. That team approached the game of baseball with respect and humility as they were out matched and out played by the ABC 16U team. During the game, the ABC 16U team showed great respect and admiration for this young group of boxers they even prayed together at the end of the game, and it was at that moment that we came to know ABC as more than a summer baseball organization. We learned after the summer of 2009 that ABC was much more than a baseball program, it provided a place with positive role models and mentors to reinforce the very values we were trying to instill in our boys. Skip has been able to be a mentor, coach and friend to his ABC players. He would often be up late playing Call of Duty on-line with the boys and go with the boys on movie outings. We continued with the fall and winter that year with ABC and Bradâ? ?s skills as an infielder and as a young man improved dramatically. His Junior year in High School, he made the starting pitching rotation of the JV team. He began working with Colton Pitkin, taking weekly pitching lessons. We watched Brad pitch a one hit complete game shut-out vs. C.E. King, all attributable to what he gained from Skip, Colton, Matt Coulson and ABC. On, June 12, 2010 we saw our second game changing event, in which Austin joined his brother as part of the ABC family and began taking weekly pitching lessons from Colton. Austin then 13, reluctantly came to ABC after spending some lack luster time with his friends in local baseball venues. On that date, Austin played with the 16U ABC team and he was so nervous before the first game. As parents, we were not concerned as we had come to know that Skip would not put Austin in a position where he could not succeed. Due to the length of his hair that summer, Matt gave Austin the nickname â??Tannerâ?? (from Bad News Bears) â?? and he carried that nickname until he finally cut his hair. That summer the ABC 18U team traveled to Omaha to play and catch some College World Series games during the last year at Rosenblatt. (As an aside, a bit of advice to all ABC parents, if you have the opportunity to go to Omaha and catch the College World Series, do not miss the opportunity!) If youâ? ?re a player with ABC you learn to travel with your uniform no matter which team is playing, because you are always part of the ABC dugout. While in Omaha, Austin learned this lesson well, as he got called up to bat in a game with the 18U team and he drew a walk on a full count. Austin said that he was so nervous that he thought everyone could see his legs shaking in the batterâ? ?s box. Again, Skip and the ABC program challenges these boys to bring out their character and will to fight when things are tough. In the spring of 2011, we saw the true benefits of ABC come to life. During his Senior year Brad made the high school varsity team, but didnâ? ?t see much playing time due to injuries and other factors beyond our control. Brad persevered the season and did whatever was asked of him to help his high school team. Little did we know that ABC had prepared Brad mentally to be a role player and to do whatever is necessary for his team. In true ABC fashion, Brad never openly complained about his lack of playing time or talked disparagingly about his high school coach. We are so very thankful of Skip and ABC to foster this attitude upon Brad and his ABC players and we have always admired Brad on his handling of his Senior high school year. The summer of 2011 brought another high light and low light for the Hearn Family. We traveled that summer to Hawaii to play with ABC. It was a great vacation spot, but again the hotel accommodation was less than ideal, but again we took it for the team! We learned that these boys being together off the field was just as important as the time they spent together on the diamond. We were able to see both Austin and Brad play together on the field in Hawaii for ABC. We painfully watched Brad struggle and have a less than stellar outing on his first appearance on the mound in Hawaii, but in the final game of the tournament Skip provided Brad an opportunity for redemption. Brad did not disappoint, in a 1 run game he closed on the mound during final inning while not allowing a single base runner for the save. The smiles of joy and elation from Brad and Skip as they shook hands and embraced after that last out still hits an emotional high with us. We did not know it at the time, but that last successful mound appearance in Hawaii was to be Bradâ? ?s last for ABC and his baseball career. Brad had learned from Skip and ABC the dedication necessary to get to the next level (college) and he knew he did not have that deep down desire and drive to continue to be one of the 2%. We were saddened by his decision not to continue but we respected his honesty and character. But Brad was not finished with ABC, he continued with ABC as one of the coaching staff to give back what he had learned to the younger players. We continued with ABC and saw Austin make the high school team as a Freshman in 2012 as a pitcher and starting outfielder on the JV team. During this time Skip kept in constant contact with Austin, reminding him of social media conduct and the importance of academics as a student athlete. In December 2012, ABC traveled to Florida to play in Disneyâ? ?s New Yearâ? ?s Baseball Classic. This is where we saw the â? ?light go onâ?? with Austin. He started on the mound on Atlanta Braves Spring Training Field at the ESPN sports complex. He gave up a walk to the first two batters and the third hit a laser off the left centerfield wall for a triple. Skip quickly called timeout and went to the mound to talk with Austin, we are not sure of the conversation, but what we saw after that meeting on the mound was pure â??Disneyâ?? magic. Austin went to work on the mound with surgical precision, not giving up a single hit or a walk for his remaining 5 innings of work. Skip notes this was the â? ?the momentâ?? for Austin on the mound. Austin made the mental adjustment and performed at the level that Skip knew he was capable. That spring Austin made Varsity on his high school team as the starting centerfielder and relief pitcher. Three weeks into the season and a couple of ill-timed errors, Austin lost the staring position as centerfielder. He was devastated and emotions were rampant. This was where we exercised another value added privilege of being part of the ABC family. At our request, Skip called Austin to talk about this turn of events. As usual, we really donâ? ?t know the conversation, but we saw Austin re-dedicate himself to his workouts and became a force on the mound as a relief pitcher. Skip routinely tells his players that when on the playing field give 100% effort 100% of the time, because you never know who may be in the stands watching. That came true when our high school team was playing against district leading Kingwood Park. Cameron Link, a Senior and fellow ABC player was the starting pitcher for Kingwood Park and Skip appeared unannounced to watch the game. Late in the game, Austin was called in relief to pitch to the heart of the Kingwood Park batting order with Crosby High School up by only 2 runs. To say we, as parents, were nervous would be an understatement. Skip sat beside us and tried to calm our nerves with his ever re-assuring words, â? ?if Austin will hit his spots he will be fine.â?? That translates from another ABC mantra, â? ?a player should focus on the task at hand rather than get caught up in the situation.â?? And then of course Skip never misses an opportunity to make Annette even more nervous and Skip leans over, smiles and says, â? ?you realize this is a save opportunity, right?â?? Austin was up to the task and retired the side giving up no runs for the save and a win over the district leader. In the final game of the high school season, Austin was called upon for the first time that season to start on the mound. That game was the most important game of the year for Crosby High School as it was a play-in game to the State Playoffs against rival Dayton High School. For a Sophomore, anyone would believe that Austin would be an emotional train wreck, because his parents sure were. But thanks to Skip and ABC, Austin performed in true ABC fashion and did not flinch. Spectators from both Crosby and Dayton could be heard below the bleachers saying, â? ?he's a Sophomore and he has owned the Dayton batters.â?? Austin pitched 5 stellar innings only giving up 1 run and providing his team a chance to win the game. But the bats for Crosby High School did not come through and the loss ended Crosby High Schoolâ? ?s season. That loss motivated Austin to work even harder. That following summer, ABC traveled to Northville, MI to play in the 16U NABF championship. We thought this was a year for ABC to showcase their talents and gamesmanship. However just prior to the tournament, one of the key pitchers left the ABC program due some poor decisions regarding team/program loyalty. Austin pitched the opener against Team Cincinnati that had a player that convincingly won the NABF homerun derby the day before. Outstanding pitching and team defense led ABC to a 3-0 victory over Team Cincinnati that eventually won the National Championship. That homerun derby winner, letâ? ?s just say the only time he spent on the bases that day was at his defensive position as 1st baseman. Again the ABC mantra of â? ?focus on the task at hand and not get caught up in the situation,â?? was a key to the success. That next spring, Skip was able to provide us with something you donâ? ?t find on the website or brochure, year round support and brutal honesty to his players. Austin began the spring high school season in the Varsity starting pitcher rotation. In his first district start against Barberâ? ?s Hill (a state ranked team), he pitched a complete game shutout with a great defensive effort behind him and timely hitting by Crosby. And guess who was there to watch this unfoldâ?¦Skip and Jeff. I am not sure who was prouder of Austinâ? ?s performance. However later that season, Skipâ? ?s brutal honesty was needed to right the ship. Austin had early success on the mound that spring season and that began to negatively affect his work habits and ultimately his performance on the mound. So much so, that he was pulled from a game against school rival Dayton due to a rough outing on the mound. During his usual after game phone call with Skip, Skip inquired about his workouts and preparation leading up to the game. We are confident that the conversation focused on another ABC mantra, â??donâ? ?t let your pride get in the way of becoming something great.â?? Austin refocused his efforts and finished the season with 9 wins and 2 losses. He was a nominee for Houston 5A Baseball pitcher of the week on four separate occasions, selected as 2nd team All-District Pitcher and named No. 9 on the Baytown Sun Super 25. That summer, in 2014, Austin dedicated his work efforts at a goal of obtaining and committing to a Division 1 college to play baseball under scholarship. During our previous summers with ABC, Austin got the opportunity to pitch during games held at Angelina Junior College in Lufkin. That is where, Austin got an opportunity to showcase his talents among college coaches and scouts. In late June, Austin got a call from Skip informing him a Coach requested Austin to attend the New York Mets tryout at Angelina in early July. Austin was reluctant at first, thinking he was not a MLB prospect, but Skip reassured him that you never know who may be there watching. Austin agreed to participate, demonstrated a 100% effort 100% of the time while pitching that day. Annette said she witnessed Austin as a machine hitting his spots pitch after pitch and dads in the stands who watched his performance shook his hand in admiration as he walked by them in the stands. As it turned out, there were coaches from Angelina Jr. College, Sam Houston State University and Stephen F. Austin State University in attendance. Austin was contacted a few days later by the head baseball coach at Stephen F. Austin, invited to a campus visit a few days later where he received a scholarship offer and within a few weeks had verbally committed to attend the Division I college in the fall of 2015. An extremely proud moment for the Hearn and the ABC family! As Austin finished his Senior high school season as part of a record-setting Regional Semi-Finalist team, the beginning of the end of ABC summer baseball as we come to know it was upon us. This has been a very emotional time for the Hearn family with our youngest son, Austin graduating High School and soon to be joining his older brother Brad as a college student. As Austin pitched in the final game for a win in the last Championship pool game in Springfield, Missouri and on 2 days rest we knew looking at his pitch count when his last inning would end â?? with camera rolling (as always with Annette) we witnessed the very same emotional high moment as we did just 4 years prior with Brad â?? as Austin walked off the mound with a smile on his face, Skip tossed his hat off and we watched as Skip and Austin shook hands and embraced. We have not taken this last summer with ABC lightly. We have cherished every trip, hotel stay, group dinner, game, camaraderie in the stands and every pitch knowing that it would all end too soon. It is on the eve of my son's Signing Day that I write this testimony. I begin with the facts. Tristan Spiller as a Freshman was 4 ft. 9in. and 95 pounds soaking wet. He had played for numerous programs leading up to meeting with Skip. I don't even think they're worth mentioning now, but they were supposedly great programs. I saw a kid named Galli Cribbs Jr. who graduated in 2011 from Dulles HS. playing one night, and I asked his dad where he played his off season ball. He told me Allen Baseball. He said they are on a premier level without all the hype of some of the other programs. I noticed that Tristan had something that compared to Galli, it was a certain quiet confidence in himself. It was a belief that he belonged on that field. It was his heart..........and so it began. Much of it is a blur but we began in the summer of 2012. I say we, because this program requires the whole family to believe in the process. Summers are where the hard work begins. I can't tell you how many ground balls, and pop ups there were, but suffice it to say by now in the thousands. The conditioning program is second to none, and kids either come prepared or quickly come to the realization that it won't come easy. Tristan started his Freshman year with Sophomore team, and quickly moved to JV. His Sophomore year he started the whole year on JV. His Junior he made it to the big time Varsity, but it was not as a starter. It was the first time he had not been a starter. Skip told him bigger, stronger, and faster. You will hear this a lot. This is where I noticed a complete transformation in Tristan. He quit making excuses. He surrounded himself with people that believed he could do it. Frick, Tanous, Pistrui, and Hearn. These are a few who he latched onto, and soaked up what they had to say, and what he needed to do to get to where he needed to be. Fast forward to present day. After another successful summer with Allen Baseball and trips to Omaha and Tennessee, Tristan attended every College Combine and practice. He put in the work on his own at the gym. He found older guys at the gym who helped him pack on pounds of muscle, and the results have spoken for themselves. As of today he is a Varsity Starter his Senior year. Thanks to Skip, Jeff, Matt, Cody, Brad, and Galli Jr. he has started at 2B,SS,3B,LF, and much to our surprise is a 3 game winning pitcher for Dulles HS. He put in the work in the classroom as well, and in March was offered a scholarship to continue his dream of playing College Baseball with Dean College in Franklin, MA. Now the hard part. This truly is a family not a program. We love and respect each other both in the stands and on the field. I have gained many sons who I now follow, and cheer for because it's not about just one kid. It's about the whole group. How do I know it works? Well the numbers speak for themselves 97% of his Seniors go on to play College or farther. The real proof is watching your son pass it on to a wide eyed 14 year old kid as I witnessed this past weekend. That's how I know we've raised a fine young man Skip Allen. Thanks to the Allen family for being part of our son's life. Thanks to Galli Cribbs Sr. for leading me to him. and Galli Cribbs Jr. for being a mentor. Freshman and Sophomore year it was Matt Coulson and Cody Stewart. They plant the seed. They teach and refine the basics and prepare them for Skip And Jeff, because by the time the get to those two they better have it down. The mistakes and excuses are replaced by confidence and determination. Jeff Allen a greater love I have never seen than the way you respect and treat your Father, sister, and brother. Tristan has always gravitated towards you because of your grit, determination, and true love for the game, and your family. The greatest big brother he will ever have. Annette, Donny, Brad and Austin Hearn.......................words cannot express the love our family has for yours. True lifelong friends. We will miss the trips and fun times with all our Allen Family. As for me, Skip Allen well ......... I'll miss you the most scarecrow.Thanks for being you, and never wavering. A true friend and brother firefighter. Much like Soldiers and Marines you never quit being a fireman. You just slip away into the night as one proud Coach and father onto the next game and potential prospect. My son Andrew has been with ABC for the past 4 yrs. He is moving on to play college baseball this Fall. There are 2 reasons this is possible, his dedication and hardwork and the Allen Baseball program. This program is so much more than an "offseason program". For us it has been the "in season" program! It's a family organization, the ABC family! Skip, Jeff, and Matt have been more than coaches to Andrew they have been mentors and friends. By no means has this been an easy 4 yrs, it requires the player and family be vested into the program. When you become vested into this program then you will see the rewards via the process of development. Not an overnight process but one that develops over years of work. We were lucky and stumbled onto the program Andrews freshman year, while looking for a program that focused on practice and development. Andrew saw very limited playing time on the high school team, but improved every year to the point that his ability could not be denied by anyone. While he rarely started for his high school, he has been the starting catcher in this program for 4 years, at his age level. These coaches not only help these boys develop their skill, but also their mental game. If you are looking for a program to just go in and play or one that is all about winning, look elsewhere. This program is one of development, work ethic, and character. With that the winning will come. Allen Baseball Club does it right! Skip will not tolerate negativity from the players or the parents. He will call them, text them, and keep up with them through social media. He will support them and discilpine them to make sure they stay on track. You will not find a coach, like Skip, who cares for the boys like they are his own. I highly recommend this program and can promise you my son does too. After spending years dealing with the "Good-Old-Boy" network of select baseball organizations throughout the somewhat close nit Houston area fraternity of baseball programs that are available for up and coming baseball players who have aspirations of making their High School Baseball team and possibly going on to play college and maybe even pro ball, we had come to the realization that most, if not all of them were money motivated and either owned and/or staffed by parents with kids on the teams. These "Daddy-Ball" teams are built around their own kids and possibly a few kids of close friends or contributors to the program, who got most of the best opportunities and held the highest profile starting positions, regardless of their ability to honestly win those positions. We were resigned to continuing to deal with these situations, all the while supplementing the meager amount of real baseball training that were afforded to the kids in order to provide our son with the chance to develop into a high school starter. 1. Attempting to glorify and make stars out of their own kids, regardless of their actual baseball ability. 3. Winning, as long as no kids on the team out performed their own. After doing the allotted research, I was able to locate several higher level travel type baseball groups who offered showcase opportunities for up and coming high school age players; however, I kept running into the same things that motivated these groups. Favoritism and money. I exhausted a lot of effort sending e-mails and making phone calls in order to get a chance to talk with these guys and hopefully find the right type of person to work with my son. 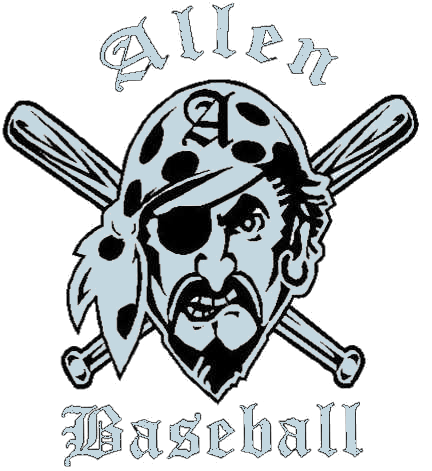 I finally found some information about the Allen Baseball Club online and sent an e-mail to Skip Allen describing my son along with a short video of him throwing and hitting. Skip called me back on the same day and we spent over an hour on the phone, after which we followed up with another phone conversation the following day. I'm not sure whether I was interviewing him, or he was interviewing me, but I walked away from the experience very impressed with the experience. Where most baseball organizations seem to be motivated by picking the biggest and strongest boys in order to win first and develop the player second, regardless of the character of the boy or his parents, Skip seemed to be motivated by other things that caught my attention. Skip described his group as a developmental organization that placed a premium on developing the boy's character as well as their baseball ability. He looks for good parents in order to cultivate a more family oriented team, meanwhile providing proper baseball training and a rigorous training schedule that tends to cause a lot of people to not stay with the program. First and foremost, he develops their skills, stamina, work ethic and attention to their grades in order to get them ready for the difficulties that they will face while playing college baseball. We were told that he has close to a 100% record of getting all of the kids who make it to his senior program signed on to play college baseball. This has proven to be true, as he signed 100% of all of the senior players who just graduated for the program this year. All of this based on his connections as well as his reputation among the local colleges who know that any of Skip's boys are mentally and physically ready for whatever they have to face. We were invited to attend their weekly practice sessions as a tryout before he would offer our son a spot in his program. We attended 2 successive 6 hour days of rigorous practice in 95 degree heat, after which we were told that they had a place for him and were impressed enough with his ability that Skip told us that he is the kind of player that he expects to play all of the way through his program until he graduates and goes off to college. One of the things that I was most impressed with was the fact that each of the players who have been with him for any length of time is always greeted with a hug And a genuine show of affection. Skip shows genuine care and concern for all of his boys, giving them the proper discipline when necessary and always giving them positive reinforcement when it is warranted, all the while showing no favoritism as far as I can see. Skip is a great father and family man who doesn't drink or smoke and spends quality time with his wife and kids in addition to his total dedication to his baseball family. He has a son who plays in the Sugarland Skeeters Baseball organization as well as a younger son and daughter who often accompany him to baseball games and practice sessions. Matthew has made great strides as a ball player as well as a young man based solely on his association with a Skip Allen. I am usually a very good judge of character and am able to discern a mans honesty and integrity in short order. As a testament to where I rate this man on a scale with all other men with whom I deal on a regular basis, I will say only that I have allowed only one of my children to leave home at the age of 15, traveling over the course of even one night away from home with only one person, period. That person was Skip Allen. A couple of years ago, we sat down with Austin and as a family decided to make a move and leave behind the negative situation that we were in and try to find a new baseball home for the final two years of High School. When we decided to make the move to a different travel ball squad we were overwhelmed by the options out there. Karen and I asked Austin to do a little research to find a team that he would fit comfortably in and would be willing to try out for. After a couple of hours he called me and mentioned that he wanted to try and play for Allen Baseball Club. I asked him what drew him to ABC and he mentioned that â? ?they seem to have a lot of players that get signed!â?? Little did we know what it would truly mean to be a part of the Allen Baseball Club family? After a little research myself I reached out to Skip to see if there was an opening and what the requirements would be for a try out. Skip and I had what I would term a â? ?typical laid back, take it or leave itâ?? conversation that Skip is known for and scheduled a tryout during a weekend practice. This would be the beginning of the most positive experience that our family has been a part of when it comes to travel ball. Skip has a powerful reputation of doing things the right way and demanding that his kids not only perform on the field, but most importantly off the field in school, church and home. This organization teaches fundamentals at the most basic level from handing a ball to an umpire to performing in pressure situations. PCP! One thing that really stands out to me as a parent is the personal role that Skip takes with each member of the Allen Baseball Club family. It has been our experience that the coaches were always there for Austin on game day or at practices but Skip attends high school games, calls and talks to them almost daily and even promotes them on social media so that college coaches can see what ABC players are doing. Most importantly Skip acts as a tour guide to his players and families so that no one misses the sites on this amazing ride to the next level. We have been blessed as a family to have been part of numerous organizations as Austin has grown up from Little League to Pony ball to five travel ball squads. One of the most important truisms that I have found is that the grass may appear greener at the other organization but usually it grows on the same fertilizer as the grass you are standing on. With one exceptionâ?¦Allen Baseball Club. This organization has delivered on every level of accountability, performance, mentoring and friendship. One thing that really sets Allen Baseball Club apart is the true feeling of Family! Players, Coaches and Parents all look out for one another and help to push for greatness one pitch at a time! Skip- I wanted to thank you for the last two wonderful years of baseball. You, Jeff and Matt were the most incredible coaches that I have ever seen in action. No matter what athlete you are talking to, they know that you guys not only require hard work, you play hard, and you make sure that respect is on the top of everyone's list of things to do. You make the players responsible for their actions, you correct them when needed, and most importantly, you make the boys understand how rewarding this game can be when everyone is on the same wave length. You show the boys, by example that if you work hard and set goals to accomplish, how rewarding those ethics are in our daily lives. We have been incredibly blessed to have been a part of the ABC family and will always consider everyone in the abc famiy as a friend. Thank you for everthing. I know that Gregg and I are much better off in our lives for being in your company and experience the ABC family love. Every single thing skipper tells you about the life of being a college baseball player is 100% true... And I thank skip soo much for prepping me as much as he could.if it was easy every one would do it you just gotta want it and be willing to do anything to get it...i really wanna express my grattitude to skip, jeff, matt and the entire allen baseball staff! you guys helped me more than you can possibly believe! Just wanted to say thank you to you and Jeff for being part of Kyle's signing day. It was good to see you both there. Skip thank you for all that you have done for Kyle thru the years but mostly for this year by getting in touch with Coach Frank Lee at WBC and letting him know about Kyle. It is so nice to be part of the ABC program, where the Coach really does care about each of his ball players and goes to the extreme to get each of his senior players a place to continue to play the game that they love. Thanks Skip your are truly the epitome of baseball coach and a whole lot more, you groom these young boys to be fine classy men when they leave your program but most of them don't ever leave. Zach and I have made a life long dear friend and we will always be there for you when you call. Thank you for the testimony. I would have to say that your program is easily one of the best in the state and I do not tell everyone that. The level of effort you put into your program is unbelievable. I even grabbed some of your guys from the last showcase and told them that they were lucky to be playing for you. Thanks again for the testimony and sending me your players. Hope the best for you and please do not hesitate to tell me about your 2012 guys. It has been a great 4 seasons with Allen Baseball and we've loved every minute of it! Skip your program is awesome! Cody has learned so much from all you have taught him. I sincerely recommend Allen Baseball to anyone who is serious about baseball! We as parents may not always like the coach's decision but I know without a doubt you ALWAYS have the boys best interest at heart!! It's been a great ride and we are going to miss everyone terribly! Thanks for everything!! First of all I want to congratulate you on your baseball program it looks like you guys had an awesome summer. Congratulations!! Well now the time has come, even though I canâ? ?t believe itâ? ?s already here, â? ?my boysâ?? will soon be heading off to college. John Ross will be playing in Dallas at Mountain View, he will be leaving real soon and he is so excited and of course Iâ? ?m just a basket case because my baby is leaving, but I know that itâ? ?s all good. Can you believe a year ago we were nursing him back to health after his accident to get him baseball ready, and now John Ross is going off to college for an education and to play college baseball, John Ross is truly blessed. There are so many people I need to thank that had a big hand in getting John Ross where he is today and you, Coach Skip, are one of them. Even though we didnâ? ?t play ball with you this summer, you still made a big impact on John Rossâ?? life. Skip I canâ? ?t begin to tell you how thankful I am that you were John Rossâ?? coach. You contributed a great deal in helping mold and shape John Ross into the fine young man that he is today. You have always seen not what he was, but what he could become. I believe that your hard work and dedication has helped inspired him to become more than he ever dreamed he could. Thank you for pushing him to his limits and beyond. He will become not just a better athlete, but a better person as well. You also gave him the encouragement he needed to believe in himself, and the discipline that resulted in victory over and over. Of course there were a couple of losses but at least they had fun playing the game. I am so glad you took the time from your busy life to be his coach. Thank you from the bottom of my heart for being that special coach for all â? ?my boysâ?? Aaron, Andrew, Trevor, Eloy and of course my favorite John Ross. Thanks to you these boys will be going to the next level and continue on the â? ?road of baseballâ??. When Zach and I first met Skip it was when Zach was a sophomore in high school and Zach played varsity baseball for Conroe High and select baseball for the Houston Wildcats. Skip was in Conroe watching Conroe play, he came up to me and introduced himself and stated he has heard a lot about Zach and would like for Zach to come play for him, I told him I would talk to Zach and we would get back with him. Zach of course said he want to stay with the Wildcat because all of his friends played there; right then and there I realized what a mistake we made. The very next year I contacted Skip and ask if he would be interested in Zach and he said absolutely and what a beginning of a beautiful friendship. After Zachâ? ?s 1st year with Skip, Zach won first team all district, 1st team all County. To this day I donâ? ?t think there is a better baseball coach in the state of Texas, Skip has a great knack and thatâ? ?s how to teach the game the way the game is suppose to be played, the kids understand him and he understands the kids and you donâ? ?t find that anymore in select baseball. It has turned into a moneymaker for other programs and not what itâ? ?s suppose to be getting the player ready for the next level. To this day Zach has been prepared for the next level and excelling at the college level and a lot of the credit I give to Skip Allen. Skip, thank God for you without you this would have been very hard to accomplish and I know Zach loves you very much as so many of youâ? ?re players do and I made a great friend. Thank you.